By Angela Doland . Published on October 31, 2018. Mark Zuckerberg at the Viva Tech event in Paris in May. Another departure: David Poltrack, CBS research guru, will retire from the network next year after 50 (!) years with the company. Read more by Ad Age's Anthony Crupi. 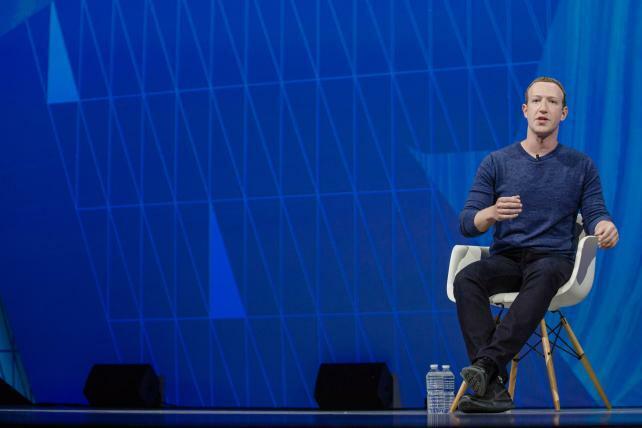 Facebook is in the midst of a big transition: It's shifting its focus to Stories, where users post photos and videos that scroll across their screens and eventually disappear. Facebook sees Stories as its social networks' future, Ad Age's Garett Sloane writes. But as the transition happens, there's some fallout, "since the new way of sharing video has not caught on with advertisers yet," Sloane says. Ad sales for the third quarter hit $13.5 billion, up 33 percent year-over-year. For Facebook that's actually a slowdown in growth from a year earlier, when the figure was 49 percent. Ha: Recode's headline points out that Facebook's Stories concept wasn't exactly original: "The 'Stories' product that Facebook copied from Snapchat is now Facebook's future," it says. In other Facebook news: Vice News put Facebook's vow of political transparency to the test by applying to buy fake ads on behalf of 100 real U.S. senators. It says Facebook approved all the requests, proving that "just about anyone can buy an ad identified as 'Paid for by' by a major U.S. politician." "Dancing treasure chests would give young players points for watching video ads, potentially endlessly … At other times an onscreen character would cry if the child did not buy something." Public service announcement: San Francisco agency Muhtayzik Hoffer is the latest shop to change its name. Now it's M/H VCCP, as Ad Age's Megan Graham writes. So if you were never sure how to pronounce Muhtayzik Hoffer, you can stop worrying about it. Memories: For the holidays, Sears is "running emotion-based messaging and hoping to capitalize on feelings of nostalgia for the once-mighty retailer," Ad Age's Adrianne Pasquarelli writes. The company recently filed for bankruptcy protection. The midterms: Ad Age's Datacenter crunched the numbers and found that nearly half the political ads being broadcast on TV and radio in St. Louis are wasted; they feature candidates running across the state line in Illinois. Read more from Simon Dumenco. Creativity pick of the day: A New York newsstand offered up newspapers and magazines with headlines pulled from fake news stories on the internet (such as, "Texas now recognized as Mexican state.") It's "The Fake News Stand," an activation from TBWA/Chiat/Day New York for the Columbia Journalism Review. As Ad Age's Ann-Christine Diaz writes, with the midterms coming up, it's an attempt to draw attention to the dangers of the misinformation. Check it out here.